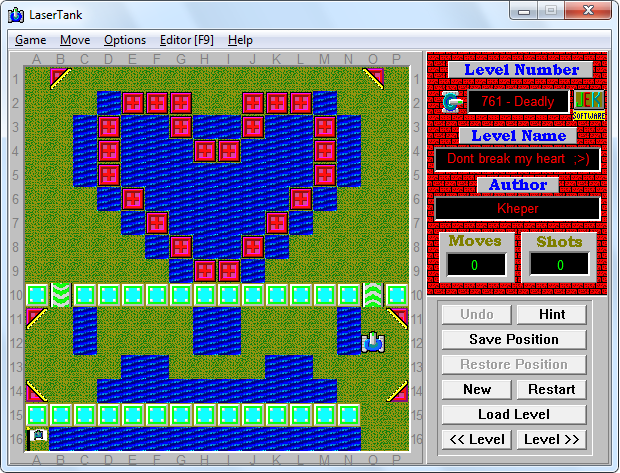 LaserTank is probably one of the most difficult and the most extensive free logic games in the world available on the official website:https://laser-tank.com/. LaserTankpedia is an encyclopedia containing a lot of information about the game: data of 20 312 levels with screenshots divided into 13 collections and 6 levels of difficulty, statistics of 1 409 authors of levels and 190 record-holders, links to solutions for many levels. LaserTankpedia is designed for mobile devices and computers. - 20 312 pages with boards. A total of 26 394 pages.